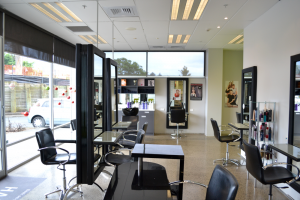 Although it may not seem important – selecting a hair salon is quite essential. If you make a mistake and choose the wrong salon – you would have made a big step you will regret. Although it can be hard, there are ways to tell whether a salon is good enough. 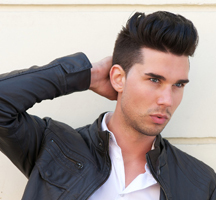 We at Hairnow know we are, and have some things to keep in mind when choosing a new salon. First impressions are everything. You want to go somewhere that has flair and style, but is clean and tidy. You definitely want someone who is professional and knows the latest trends, but meets your requirements. A good way to see what others are saying is by researching on the internet, and reading customer comments and reviews. Also, remember word of mouth is the best advertisement, so see what others are saying. Are the staff pleasant? Do they greet you with a smile? Do you feel like you can connect with your stylist? Do you feel welcome? Do they anticipate you needs? What are they wearing? What does their hair look like? Are they fashionable in makeup and accessories? Do you see a wide range of exciting retail that is trending and that your stylist is endorsing? Do they have a wide range of products that are new on the market for dry and damaged hair? Can they answer my questions? Do they appear knowledgeable and can answer any querries with confidence? What type of shampoo will help with dry scalp? What conditioning treatments can I use at home? My hair is very fine, what products can I use to thicken it up? Help, I would like my dry and frizzy hair to be shiny and straight, can you help? How can I change my dark hair to blonde? What hairstyle will suit my faceshape? What is a normal amount of hair to lose every day? What is the main Clientele like? Does the salon’s clientele reflect your values, style, and fashion outlook? Keep all these things in mind when checking out a new salon. And remember a good salon will always welcome you and give you a fabulous consultation. At Hairnow we pride ourselves on being able to tick all these requirements, and we strive to exceed all your expectations.